The dingy, brown, tile steps he sat on were still warm from the day’s sun. But that probably didn’t matter much. He was staring at his feet and swaying almost imperceptibly as if the ground itself were moving underneath him. The equally dingy white shorts he was wearing defiantly blended into his surroundings as we walked past him on our way to dine at the 5 star restaurant upstairs. No one looked or even broke stride as we stepped around him. He was invisible. What don’t we see on a daily, moment by moment basis? What is in our field of view by choice or by design? For those that “have” the less fortunate are often invisible. What don’t we want to see? I have noticed that I have become invisible to a certain age group. I am not sure when this happened or even what the qualification is for being noticed. It just happened. I was noticing this morning that I was not noticed by a young person on my walk to the office. I then noticed quite by surprise that an elderly woman next to me at the same intersection was nearly completely hidden from my view. I guess I don’t want to acknowledge the inevitable. What about the deformed or disabled? I find that they are often equally invisible. It’s not that the wheel chair or the affectation is easy to miss. We just choose to miss it. It’s as if the acknowledgment of a human being in that predicament would somehow make it contagious or make us responsible in some way. 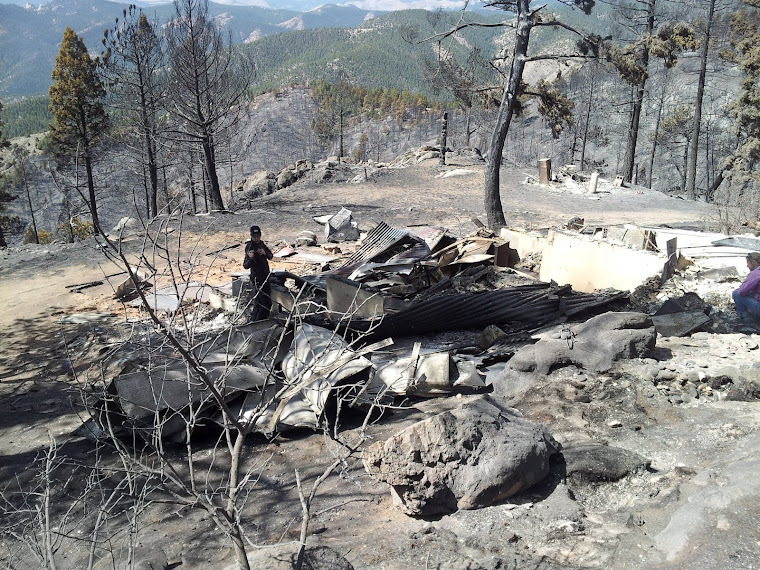 And in time, all of us that have lost nearly everything the recent fires will become as invisible as the folks that lost nearly everything in the Four Mile Canyon fire. What fire? Exactly. We close off our field of view with statements like, “Well at least you…(fill in the blank)”, or “Well your insurance will cover that, right?” God forbid we actually get in touch with anything that might make us feel something other than video game excitement or the protected numbness that we have come to loath and cherish simultaneously. What would we have to deal with in ourselves to be willing to bring everything into view? Would I have to speak the young man on the steps? Would I have to show kindness to someone I would rather ignore? Does it take away from me to make that effort? Does it really take that much effort? Is it fear or simply disdain and resignation? On our way down the steps the young man was sprawled out in a positional dare for us to take notice. His non-verbal challenge was palpable as we threaded our steps past his hands and feet. But he was invisible.